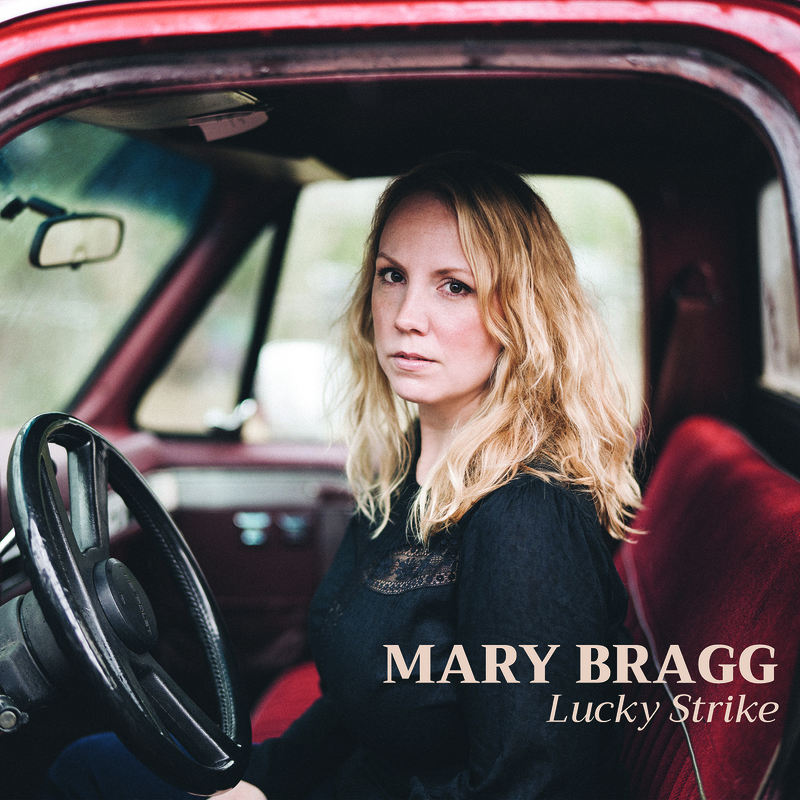 With a wide berth of songwriting freedom and a life-earned perspective on her artistic evolution, Mary Bragg has crafted an honest and personal collection of Americana poetry for her upcoming album, Lucky Strike. Bragg’s new album is her fourth overall, but her first as part of the Nashville music family. With earnest lyrics and country-washed instrumentation, it’s easy to see that her new city suits her. It took some encouragement for Bragg to record a new album, as she had found success and satisfaction in focusing on her songwriting craft. When she decided to make Lucky Strike, it was on her own terms–creating honest works and foregoing the overpriced studio time. The result of her vision is a heartfelt exploration of her artistic journey told through remarkably relatable lyrical craft. While her artistic compass has never wavered, her path to the creation of this album has had many twists and turns. Her life explorations have deep influences on the themes of Lucky Strike. “Drifter’s Hymn” is a mesmerizing blend of haunting vocals, acoustic guitar, and wandering flourishes of piano, likely influenced by her travels as a musician. “My trail is a whisper/I’m just a drifter” Bragg reflects. Bragg’s first stop after leaving her home town was a huge jump, going from a small Georgia town to New York City. There, she had to learn from rejection, stand tall to get noticed, and foster a drive to never settle until reaching her goals. The trials of her path are embodied on the album’s namesake track “Lucky Strike,” a soul-baring introspection riding on reverb-filled guitar. Bragg describes the song as a “bit of a sarcastic poke at hopefulness,” but the song easily connects as we all seek that one thing that will make all of the pieces of our dreams come together. Love is another thematic force on Lucky Strike. Ranging from the wistful, maybe even hopeful, post-breakup twang of “Think About Me” to the tender soul-searching passion of “Wildfire,” Bragg, with her yearning vocals, explores the vast emotional nuances of romance and envisions a relationship forged through deep connection. Whether accompanied by upbeat acoustic licks or aching pedal steel, Bragg’s crystalline voice is the centerpiece of the album that elevates this revealing glimpse into her soul. Lucky Strike carries a distinctive authenticity, born through the intimate connection made with the listener through her vulnerable, soul-baring lyrics.